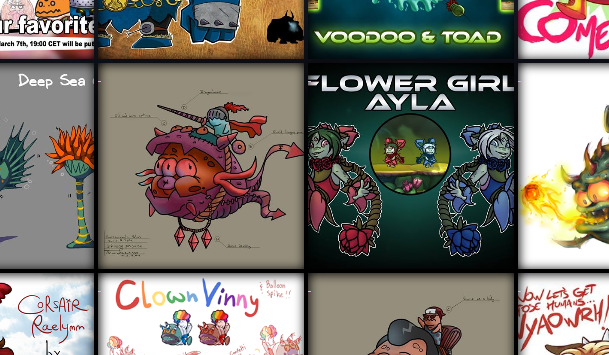 We’ve received over 250 entries for the Awesomenauts Skin Contest. The task to select the best amongst them was daunting but we persevered untill the end! We’ve picked the 30 entries that we think to be the best additions to the Awesomenauts collection. Where we received the same idea for a skin from more than one entrant we chose the one that in our view executed and communicated the idea best. The reason that some characters (like Vinnie & Spike) have more finalist entries than others is simple: there were a lot more Vinnie skin entries. Now it’s up to you to decide which skin will make it to the game! We’ve uploaded all skins to an album on the official Awesomenauts page, which you can see below. Just click the ones you think are awesome, and you’ll be taken to their Facebook page where you can like them. Whichever skin has the most likes by this saturday (March 7th) at 19:00 Amsterdam time, will be put into the game!